Why Choose L801 Plus Digital Label Printer? Upgrade your printer to the L801 Plus for increased water and moisture resistance(1). Watershield-printed labels are significantly more resistant to the effects of prolonged moisture. Therefore making the L801 Plus perfect for applications such as chilled beverages, foods, chemical or pharmaceutical products. The L801 Optional Label Rewinder makes managing your labels easy, and allows you to conveniently rewind your labels right onto a 76mm core. Furthermore It’s a great, recommended addition for companies that experience high usage or heavy duty jobs. This new technology also produces deeper blacks, uses more responsibly-sourced inks(2), and helps to prolong the life of the printhead(3). (1) Water resistance can be media-dependent. Always test your printed label to be sure it meets your requirements. 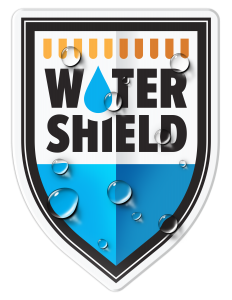 (2) Watershield™ inks do not contain chemicals that are considered to be dangerous and/or harmful to humans or the environment. (3) Memjet tested ejection life internally and found an average above 2X printhead life. Actual results may vary due to factors such as environment and frequency of use. The L901 enables companies to run a full-colour digital label printer in line with a finishing or application system, without complications related to mid-job printhead maintenance. The Afinia Label L501 is the first colour label printer with Duo Ink Technology, designed to use both pigment and dye inks to create waterproof and highly vibrant labels. Powered by HP thermal inkjet technology, this dual-ink feature allows for a quick transition from vibrant and colourful prime, to ultra-durable and waterproof label applications with a simple printhead swap. 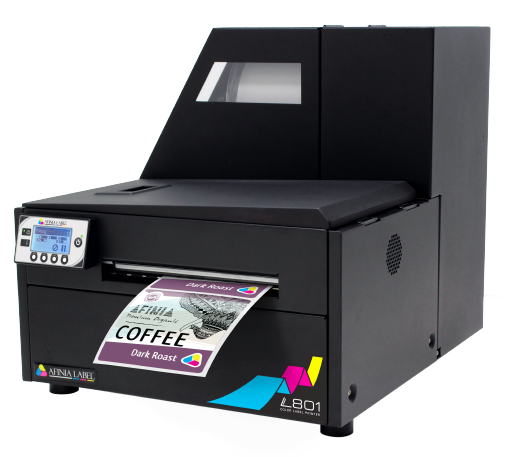 The L801 is an industrial web-fed inkjet solution, ideal for short- to medium-range print runs for inventory and product identification applications.It’s easy to use, has an integrated unwinder, works well with industry-standard label design software, and is available with an optional rewinder. The Afinia Label L301 Industrial Colour Label Printer is perfect for small and growing businesses. In-house, on-demand label printing allows the flexibility that growing brands need to thrive: change your labels as-needed to accommodate branding, ingredient, or government regulation changes. Copyright © 2019 Magnum-UK. All rights reserved.